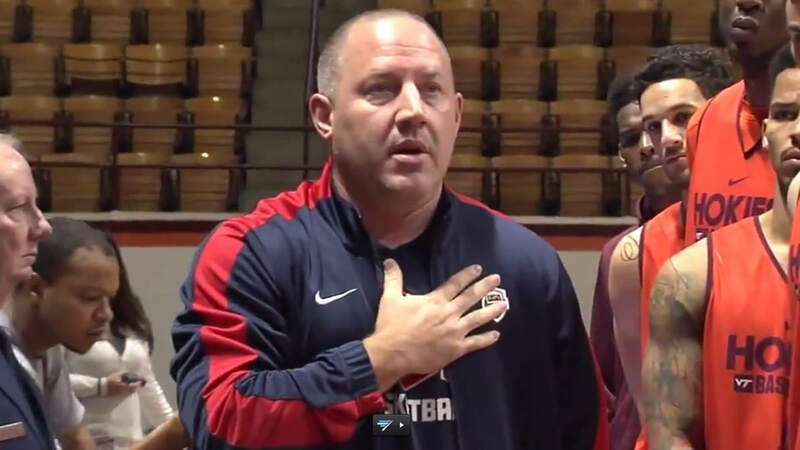 Buzz Williams has been the men’s basketball coach at Virginia Tech since 2014 and his time at the well-known college, he’s seen some disappointing behavior during the National Anthem over the past few years. That’s why he decided to bring Veterans onto the court to teach the current team a lesson in National Anthem etiquette. A video was posted last year of the players standing face-to-face with several Veterans on the Virginia Tech court. Williams walked through the middle of the group and spoke about the respect that should be paid when the National Anthem is played and how it is important to stand at attention. He talked about the words and how they represent the lives of those who have bravely served our country.